If I’m not in boots, I’m usually in sneakers. And while sneakers can sometimes bring an outfit down, sometimes it’s all you can muster up in the morning. 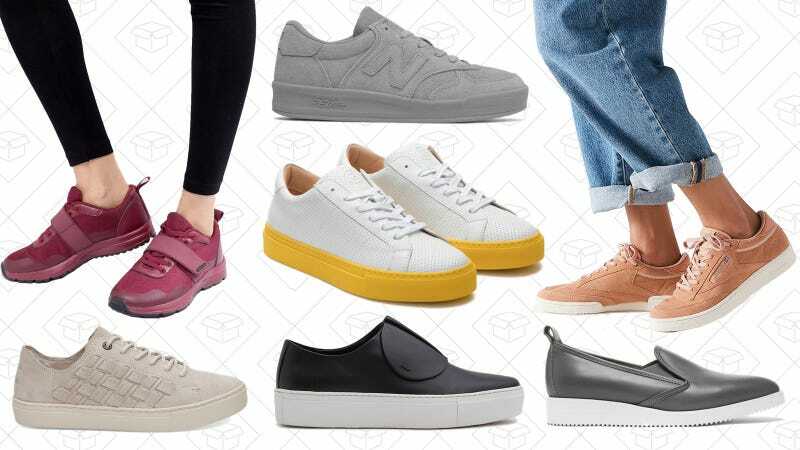 But, if you trade up for a pair that looks a little presentable, it’ll help you give off a vibe that’s a little more “I put effort into this, but I appreciate comfort above everything else.” Slip-ons will usually do the trick, with their ability to look more like loafers than sneakers, but some lace-ups that are streamlined and sleek can look just as good as a pair of dress shoes. Primury Paper Planes Sneaker | $183 | Need Supply Co.